The Clarence Cullimore Architectural History Archive contains the papers of both Clarence Cullimore senior and junior. This collection spans approximately thirty-five linear feet and includes architectural renderings, blue prints, Photostats, books, manuscripts, printing plates, watercolors, glass negatives, sketches, tracings, specifications, pay stubs, correspondence, photographs, post cards, and other various ephemeral items. This collection is currently in processing and is not yet ready for research. Contact the Curator of Collections for more information. Clarence was born in Jacksonville, Illinois October 20, 1886. After graduating from Belmont Military Academy in 1905, he pursued a B.S. in Architecture at the University of California where he gra duated in 1910. He obtained his Master of Architecture in 1942 from the University of Southern California. He entered the Army in 1917 in Company F, 361 Infantry commissioned as a First Lieutenant. 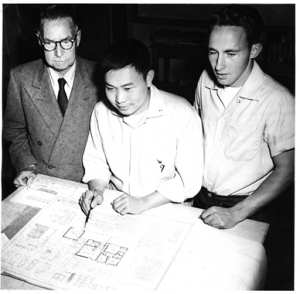 Licensed to practice architecture in 1927, Mr. Cullimore also taught architecture, drawing, and descriptive geometry at Kern County Union High School and Bakersfield College. He also had a passion for adobe architecture and construction and was considered an expert. 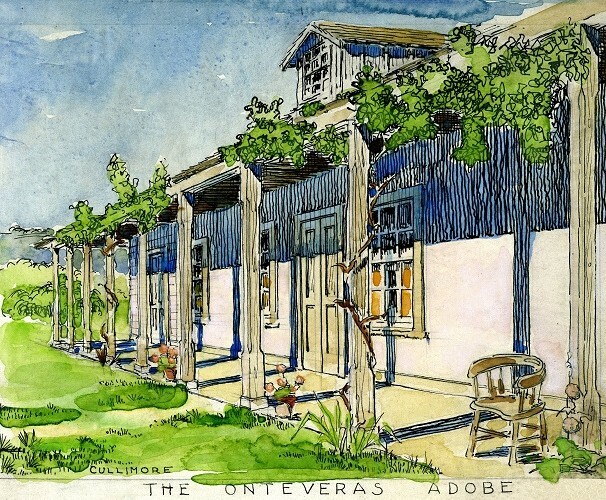 Because of this expertise he published a number of magazine and newspaper articles on historic old adobe houses as well as the books Santa Barbara Adobes and Old Adobes of Forgotten Fort Tejon. The highlights of this collection include correspondence with state elected officials (including the Governor) to restore and preserve Fort Tejon as well as architectural drawings his students completed in his classes. Clarence Cullimore, Jr. was born in Bakersfield on April 12, 1926. He attended local schools and graduated from Bakersfield High School. 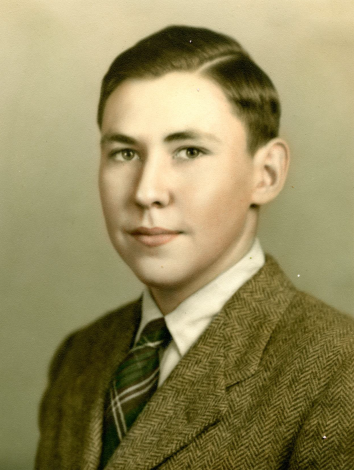 World War II interrupted his education but after his service in the Navy he pursued a Bachelor of Architecture degree at the University of Southern California. Cully’s career was dedicated to architecture. He spent twenty-seven years working for the State of California and three years as the Director of Building Safety in Stockton, California. Over the course of his career he designed buildings for the Department of Motor Vehicles and the Atascadero and San Mateo School Districts. His legacy can be found, perhaps, in the area of historic preservation. Cully spent fifteen years as Executive Director of the California State Historical Building Advisory Board. His tenure resulted in the development and adoption of the California State Historical Building Code and remains in effect today. He was awarded for his work with the President’s Award from the California Preservation Foundation. This collection documents John P. Pedersen’s architectural career. The collection contains over three hundred rolls of building plans in a variety of locations including Beverly Hills, Hollywood, Santa Monica, Carmel, Palo Alto, and California’s Central Valley. 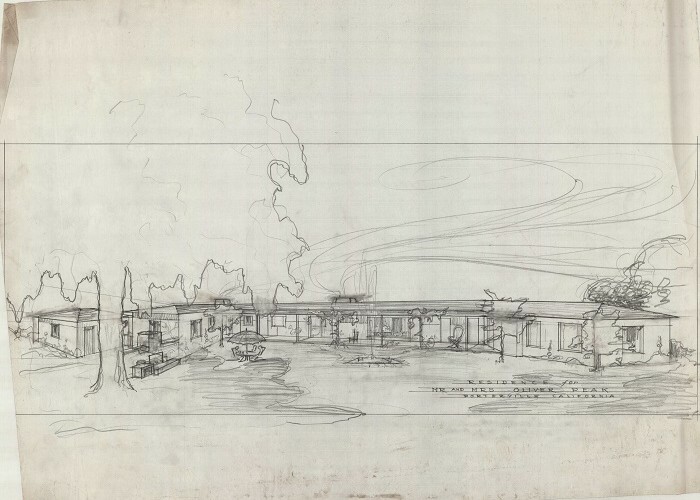 The collection also includes pencil sketches, renderings, blueprints, loose plans, pen and India ink presentation drawings, correspondence, a proposed plan for a subway system in Beverly Hills (1927), office records, and photographs. This collection is currently in processing and is not yet ready for research. Contact the Curator of Collections for more information. John P. Pedersen, A.I.A. was born in Kjerringøy-Bodø, Norway in 1888. While in Norway he attended Bodø Tekniske Aftenskole, a night-school program with a curriculum similar to many American pre-architecture secondary programs. After migrating to the United States, Pedersen attended the Pratt Institute in New York City. After completing architectural apprenticeships in Connecticut and Southern California in 1928, he opened his own office in Beverly Hills. During World War II, Pedersen worked with the United States Maritime Commission to design concrete ships. While he designed some commercial buildings, Pedersen’s practice was focused on residential design. Many of the homes he designed are located in Hancock Park, Pasadena, Silver Lake, and San Marino. 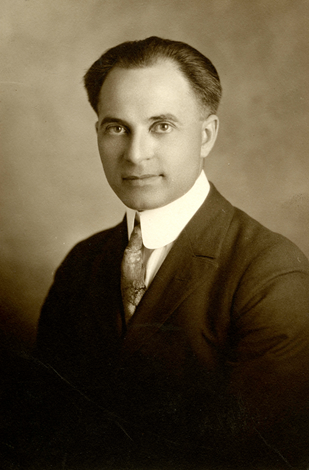 Some of Pedersen’s clients included R.J. Richards, the “Lettuce King” (Pasadena), Evangelist Aimee Semple McPherson (Silver Lake), and Bruno Walter, conductor for the Los Angeles Philharmonic. He also designed residential buildings in the Southern San Joaquin Valley including the George H. Barnett residence located on Elm Street in Bakersfield.